Here's the full results from The Bounty Hunt race of Friday, August 13, 2010. Out of ninety-nine teams that officially registered, sixty-five managed to bank credits to earn their place on the Bounty Hunter Guild roster. 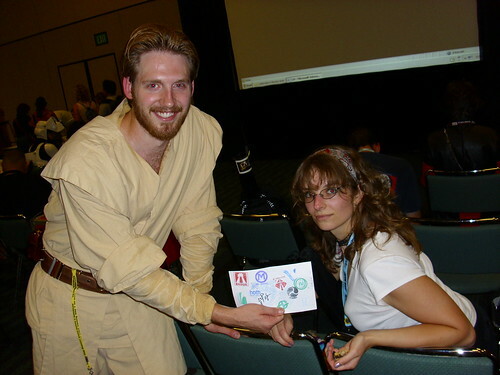 Friday's race had the highest scores in The Bounty Hunt, and its clues focused on the original Star Wars trilogy: Episodes IV, V, and VI. The Bounty Hunt - Friday scorecard with list of bounty targets and locations. The top team earned 11 out of the 12 stamps in Friday's race! How did your team do?